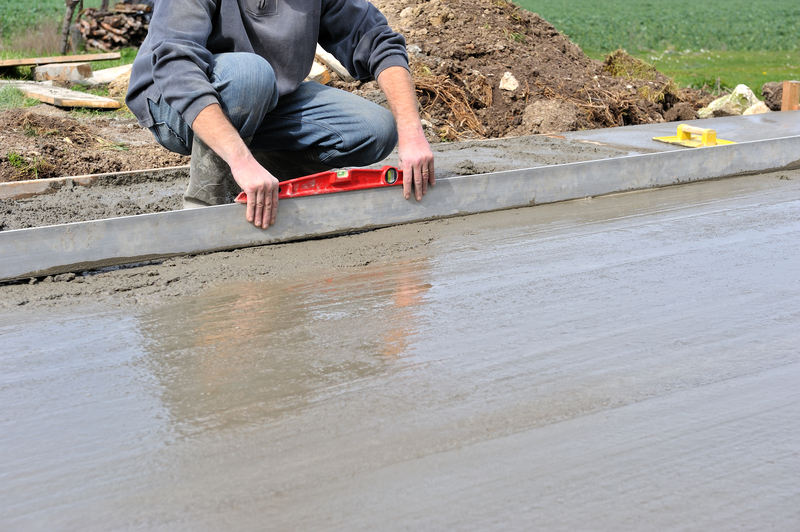 Your floor may need preparations to help in making it ready for levelling. If there are any cracks on it, fill them with epoxy. If it’s necessary, any small cracks can be widened. Using a detergent make sure that you thoroughly clean the concrete floor. Any oil or grease on the surface of the floor must be removed sufficiently. Before proceeding from this step, ensure the floor is free from dust and dry. When you’ve made sure that your floor is completely and absolutely dry, go ahead and apply the latex bonding compound over the surface of the concrete, leaving no area. With this, the self-levelling compound will have the ability to properly adhere to the floor. For getting into the edges and corners, you can use a less costly paint brush. To spread the compound of bonding over the other sections of the floor surface, you may use a regular mop. The latex bonding compound should then be left to dry up. According to the instructions of the manufacturer, mix water with the self-levelling compound. The goal is to make it very smooth. To ensure the desired level of smoothness, it should be thoroughly mixed in a bucket. Since it often dries very quickly, you need to immediately begin pouring it on the floor. Start pouring it out at one corner of the concrete floor and to the rest of it until the whole floor has been covered. To avoid getting boxed in, it’s advisable to begin pouring the mixture in the corner that is furthest from your door. There are likely to be some irregularities that you’ll notice on the floor. To smooth them out, use a long-handled rake. The long-handled garden rake will allow you to reach long distances of the floor. Once you are through with the above practices, you should let the concrete floor dry up for many days. During the period of drying up, nothing should be done to the floor as this can cause irregularities to be inflicted on it. 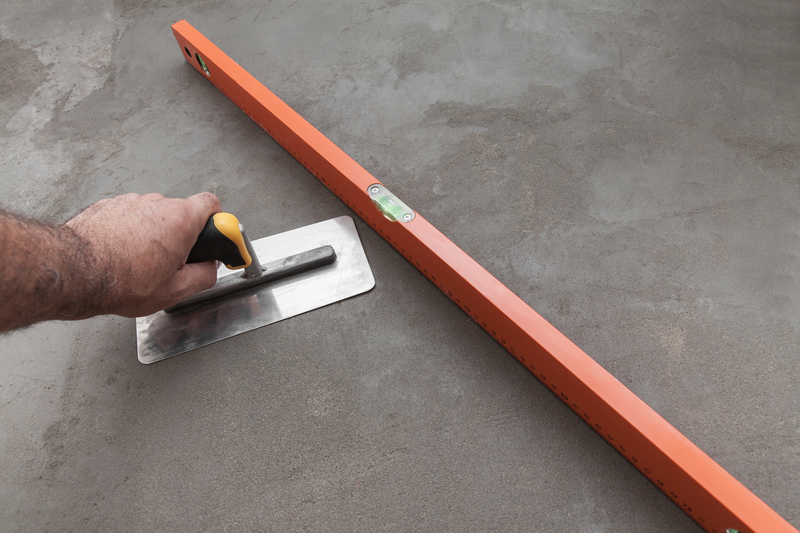 This process is a simple one for anyone who wants to level their concrete floor easily by themselves. Use it to obtain the results you desire for a level floor that can allow you to put up your coverings on the floor.